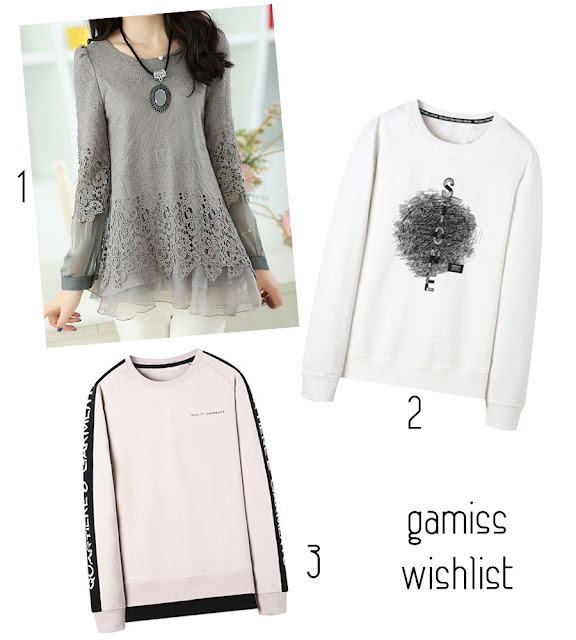 It's time for the colder season and I've been browsing (and doing window shopping) on one of my favourite sites Gamiss. Their shop originated from China, and I've bought coats, dresses and trousers from them before without being disappointed at all. I also love their free shipping and frequent discount codes. They have sales like every single day and every item has a discount if you look for the code. I'd recommend checking them out immediately for some fast fashion, which are cheap and sturdy at the same time! Without further delay, here are some things that I really, really love for the autumn. What do you think? I particularly love the third and second items I picked - they are unisex sweatshirts and I've been into the manly style lately. Best of all you can share these with your boyfriend so what better way to bond than to shop at Gamiss?